Oregon dispensaries can now sell marijuana to all comers (21 and over), a bipartisan group of senators announces a deal on major sentencing reform, Albuquerque's mayor vetoes decrim again, heroin policy on the campaign trail is featured, and more. Family Physicians Say Marijuana Should Be Decriminalized, Rescheduled. 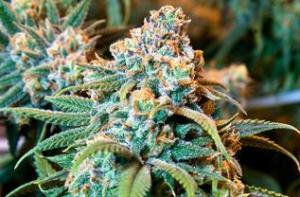 Meeting in Denver, the American Academy of Family Physicians has passed two resolutions on marijuana policy. The first originally called for legalization, but was watered down to decriminalization, while the second calls on the DEA to move marijuana from Schedule I to Schedule II of the Controlled Substances Act. Click on the link for details on the debate. California Marijuana Arrests Decline to Lowest Level Since 1966. Data from the FBI's annual Uniform Crime Report shows that pot arrests in the state are at the lowest in nearly 50 years. Some 19,711 people were arrested on marijuana charges last year, down slightly from 20,346 in 2013. Arrests have nose-dived since the state decriminalized possession in 2008. But some things apparently never change: Blacks were arrested for marijuana offenses at a rate more than twice their percentage of the state's population. Legal Recreational Marijuana Sales Are Now Underway in Oregon. Medical marijuana dispensaries across the state began selling pot to anyone with an ID showing he is 21 or over today. State officials moved to allow dispensaries to start selling recreational marijuana early in order to allow Oregonians to have a place to legally purchase it until adult use shops open next year. Not all dispensaries are participating; about 200 of the 345 in the state are. Albuquerque Mayor Vetoes Decriminalization (Again). Mayor Richard Berry has vetoed a decriminalization ordinance passed by the city council. He vetoed a similar measure last year. In a veto statement, he said he had a "hard time signing legislation that preempts state and federal law." Except that it doesn't. Decriminalization has majority support in the city and Bernalillo County, but the mayor doesn't appear to be listening. Heroin As a Campaign Issue. This USA Today story looks primarily at the attention Hillary Clinton is paying to heroin and opiate addiction in New England and the role of Vermont Gov. Peter Shumlin (D) in advising her on drug policy, but also mentions Carly Fiorina and Bernie Sanders. Jeb Bush has also been talking about addiction this week. Senators Reach Deal on Sentencing Reform Package. A bipartisan group of senators announced a historic deal on criminal justice reform Thursday, rounding out a negotiation process that has lasted almost five months. The bill, spearheaded by Judiciary Committee Chairman Chuck Grassley (R-IA), will involve reductions in mandatory minimum sentences for drug offenses, an expansion of the federal "safety valve" (which allows judges to use their discretion to sentence people below statutory mandatory minimums), and will expand reentry programming and early release, among other things. Look for a Chronicle feature story on this in coming days.